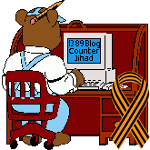 2010 US Elections — 1389 Blog - Counterjihad! Yes, I am a DRIP. The cold December weather, the climate hoax, and…secession?